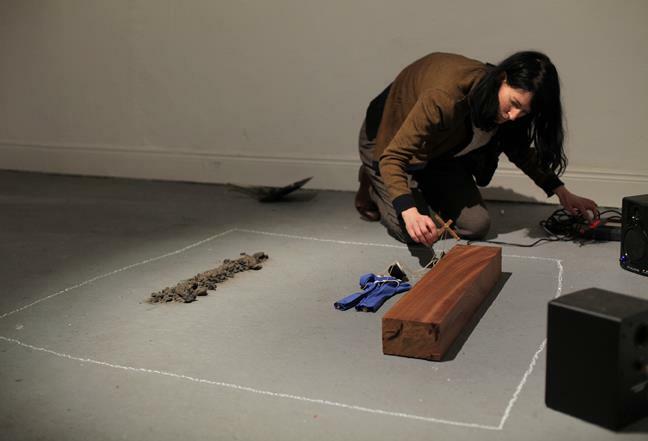 One hour performance/installation/text titled Trance-Form, as part of an event called Space of Appearance by Ncad Masters 'Art in the Contemporary World' class with Vaari Claffey (2013). More information on the event here. On the 7th of February, a live event involved invited participants to 'whittle down thirty-two objects down to one via five fast-paced rounds of discussion.' The evening also involved readings and screenings. On the 10th of February each participating artist/curator took the object selected by from the first part of the event and 'curated' it for an hour in the gallery. In Trance-Form the chosen object is activated with a poetic text inspired by Georges Bataille in his essay The Cruel Practice of Art. The invocatory text was printed in the event program in the place of an explanation of what was to occur. 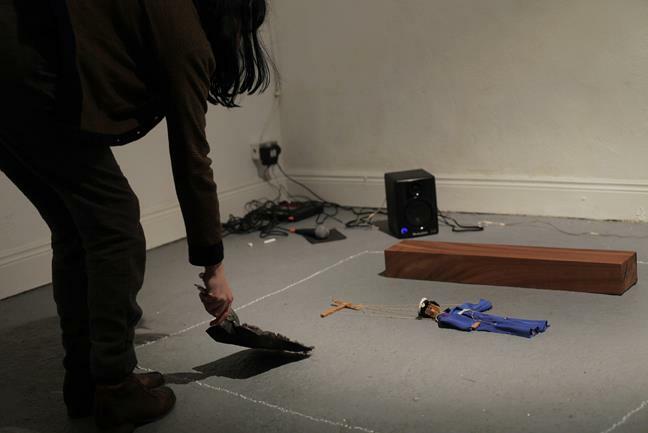 The performance involved a voudou inspired rhythm created from the selected object, in this case a marionette, which played for the duration of the event. The marionette was placed in a configaration with wood and ashes to evoke an imagining of its birth and death.